Dehydration of copper sulphate, 2 of 3. 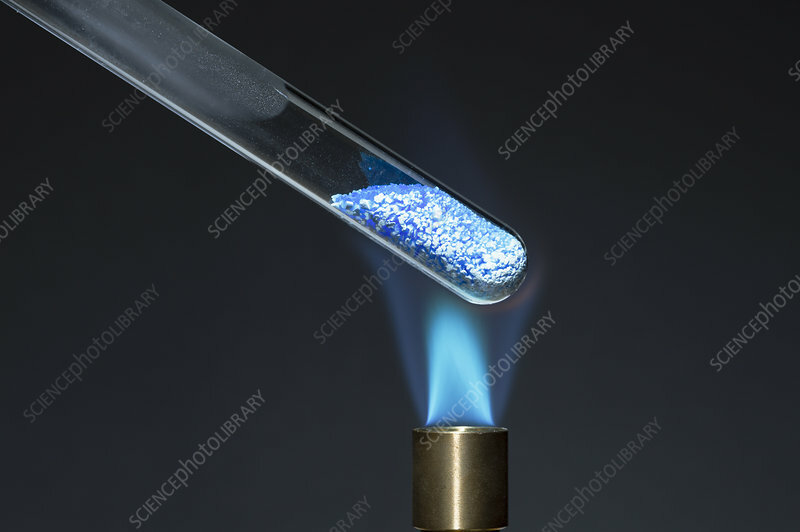 A test tube with copper sulphate pentahydrate (CuSO4 5H2O) is placed over a Bunsen burner flame. When heated, blue copper sulphate pentahydrate dehydrates (loses water) and turns into pale blue anhydrous copper sulphate (CuSO4). Water is released as a vapour.